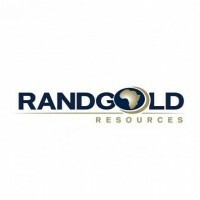 Randgold Resources Ltd (LON:RRS), today announced Q2 results and updates. Another robust performance by Kibali highlighted a quarter in which Randgold Resources posted across-the-board advances. Results for the quarter to June show gold production up 9% quarter on quarter at 313 302 ounces, total cash cost per ounce down 3% at $697 and gold sales of $411.5 million up 5% despite a lower gold price. Profit from mining was up 6% at $190.6 million and net cash generated by the operations rose by 49% to $95.5 million. Kibali ramped up underground mining as planned and continued improvements in throughput and recovery helped to boost production to a record 201 742 ounces, up 17% on the previous quarter. Total cash cost per ounce decreased by 11% to $651, reflecting the higher grade as well as lower power costs from increased hydropower. The mine’s third and last hydropower station is currently being commissioned. At the end of the quarter, Kibali’s underground operation successfully transitioned from contractor mining to owner mining, following the example of the Loulo mines. As at Loulo, the move is expected to deliver cost reductions and efficiency improvements. Kibali remains on track to beat its 2018 production forecast. The Loulo-Gounkoto complex performed in line with plan, increasing production by 4% to 150 117 ounces while progressing the Gounkoto super pit project. Since the quarter, Randgold and the Malian government have agreed on a revised investment convention for Gounkoto to support the development of the super pit. Tongon recovered well from a series of work stoppages in the first quarter which carried over to the start of the second quarter to increase production by 12% to 65 259 ounces. Since the end of the quarter, however, a new work stoppage halted operations and the mine is working on a recovery plan to get back to full production with expected annual production revised to around 250koz. Morila’s results were also in line with plan as it moves towards closure. Its agripole project, designed to mitigate the socio-economic impact of closing the mine, is awaiting final government endorsement. While the operation is mainly processing tailings, it has also started mining the Ntiola satellite pit. In Senegal, an updated base case on the Massawa project has confirmed the robustness of the project and the upside potential as it progresses through the final feasibility study to an investment decision expected by the end of the year. In addition to the potential benefits of ongoing drilling below the central zone, the government’s electrification roll-out plan, which envisages grid power access at Massawa by 2022, could have a significant impact on the project’s economics. On the exploration front, Randgold’s brownfields reserve replacement teams made significant progress at Kibali, Yalea and Tongon which will reinforce the robustness of the group’s 10-year business plan which is profitable at a long term gold price of $1 000/oz. Greenfields exploration, including airborne and ground geophysical surveys, continued to advance the exploration portfolio which also includes the new Bambadji permit across the border from Loulo in Senegal. Randgold Resources, Chief executive Mark Bristow said “the quarter’s results highlighted the Randgold team’s ability to deal effectively with multiple challenges, including the work stoppages, continuing negotiations with the DRC government about its new mining code, the sequencing of the Gounkoto pit pushback and Ntiola’s permitting delay. “The Tongon work stoppage is obviously a challenge, but we take comfort from the government’s leadership in ensuring measures are taken to protect the assets and that they are dealing with the situation. We are still assessing its impact but at this stage we still believe that, given Kibali’s strong performance, we are on track to be within the group production and cost guidance for 2018,”. Click RRD for the full archive.